Visitors gather in the new 'Rain Room' installation at the Museum of Modern Art (MoMA) in Manhattan on May 15, 2013 in New York City. 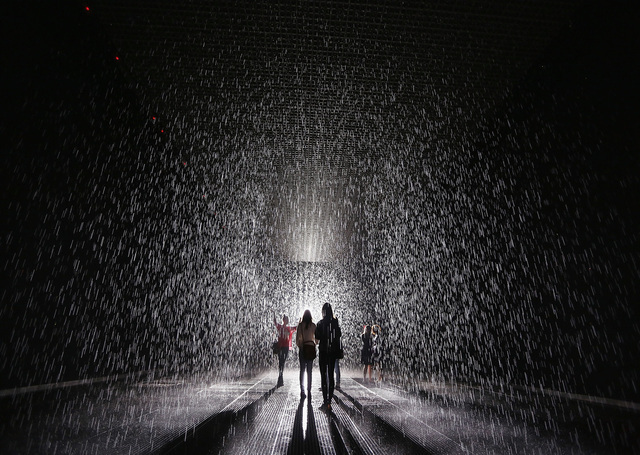 The 5,000 square-foot installation creates a field of falling water that stops in the area where people walk through, allowing them to remain dry. The piece, created by Random International, releases a 260-gallon per minute shower around visitors.